*Area, Population and Density rankings refer to Chittenden’s relative position among Vermont’s 255 civic entities (9 cities, 242 towns, 4 gores and grants). Complete rankings are here. 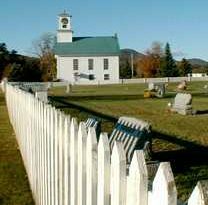 Child’s Rutland County Gazetteer says that Chittenden was the first town chartered by Vermont. This is not so: Bethel was, and a few other towns also preceded Chittenden. Like the towns of Essex and Washington, there is also a county named Chittenden, but none of the towns are in the county of the same name. Both town and county of Chittenden was named for Vermont’s first Governor, Thomas Chittenden, who made his home in Williston, which happens to be in Chittenden County. It appears that the Governor never had anything much to do with the town, although he and his son, Noah, were among the grantees. 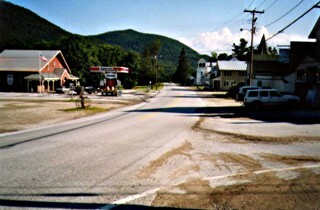 Chittenden is the largest town in the state; however, the ridge of the Green Mountains runs down the entire eastern half of it, making that area suitable only for lumbering and providing a barrier to highways. As a result, only the western part of the town has ever had much in the way of settlements, and these were chiefly clustered around the villages of Chittenden (sometimes called South Chittenden) and Holden (sometimes North Chittenden), both near the Pittsford-Chittenden town line. A section in the northwest part of Chittenden is known as Philadelphia or Old Philadelphia. 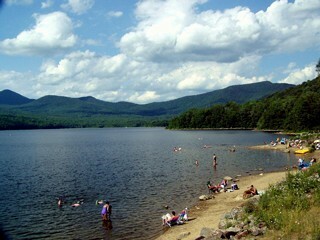 The name comes from another town which was chartered the same day as Chittenden, but which never did succeed as a town. Called Philadelphia, this town was granted to Samuel Beach, a brother of the first named grantee of Chittenden. 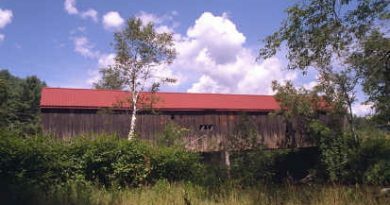 Perched astride the Green Mountains where there was almost no farm land, Philadelphia did not attract many settlers, although at one time part of the town was joined with sections from Brandon, Chittenden and Pittsford for school purposes. In 1814 the north half was annexed to Goshen, and in 1816 the balance of Philadelphia went to Chittenden, leaving the name as only an area designation.